The proposed decision from ALJ Julie Fitch would refuse to adopt the combined integrated resource plan (IRP) from the state’s utilities and community choice aggregators (CCA) because it “does not meet the GHG emissions goals” and could challenge reliability. Instead, Fitch proposed a new statewide Preferred System Portfolio that would guide generation decisions out to 2030. Fitch’s proposal would create a statewide “procurement track” for generation capacity, dramatically changing the IRP protocols followed by the state’s power providers today. If the proposed decision is approved by the CPUC, regulators will work on establishing the design of the procurement track. “The procurement track will explore how the LSEs can be directed to follow the Preferred System Portfolio,” Terrie Prosper, CPUC spokesperson, told Utility Dive via email. While California is working to eliminate natural gas-fired generation, Fitch’s proposed decision notes existing gas-fired capacity will still be needed in 2030 as the state continues to integrate renewables, making the resource part of the potential Preferred System Portfolio. Existing natural gas resources are needed to “maintain system reliability and provide affordable electricity while the broader transition to California’s GHG emissions reduction goals is underway,” Prosper said. Other resources in Fitch’s recommended procurement track include eight-hour duration storage and enough diverse renewable resources to reach the 2030 Preferred System Portfolio. The portfolio is supposed to reach a statewide target to lower electric sector emissions to 42 million metric tons of GHG in 2030, a 61% decline from 1990 levels in the sector. 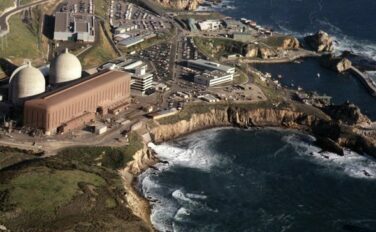 “Since Diablo Canyon was a baseload resource and most renewable resources are not, if anything we are concerned that the replacement power procured mostly by CCAs will not represent as reliable a resource as Diablo Canyon has proven to be over the decades,” Fitch wrote. “[W]e can assume that the new round of procurement will incur costs that [will] then be spread to all customers of each of the utilities, including the CCA and direct access customers,” Matt Freedman, staff attorney for The Utility Reform Network (TURN), told Utility Dive. The investor-owned utilities “are trying to shed resources because they’ve lost a lot of customers….So all of the need for new resources is with the new providers,” he added. The CPUC received several vague IRPs that copied a template of requirements without providing details such as when the capacity would be added, he said. TURN found many IRPs “submitted very generic resource plans,” which cloud the accurate assessments of the progress on GHG reductions. Regulators “are trying to steer rapidly changing retail markets and they are struggling to bridge the gap between Statewide Resource Planning Objectives and the paradigm of customer choice,” Freedman said. A lot of details remain undecided about a new procurement plan, he added, which would need to be addressed if the CPUC approves Fitch’s proposal. “The open question is who would do that procurement and how you would operationalize such a requirement,” Freedman said.